Jeff King won the Yukon Quest International Sled Dog Race back in 1989. He is also well-known on the Iditarod trail, having won Alaska’s other 1,000 mile sled dog race four times. This year, he returned to the Quest, but decided to scratch from the race after only 300 miles. This year, Jeff King signed up for both of Alaska’s 1000-mile sled dog races. Over the year’s he says he’s seen other dog teams improve after their first 1000-miler. “This one wasn’t going to make them stronger, this one was going to need recovery,” King said. When King left the Pelly Crossing checkpoint, temperatures were frigid – between minus 30 and minus 40 degrees. That was still the case when he reached the Stepping Stone hospitality stop. When King first started running the Yukon Quest in the mid-1980’s, those temperatures were the norm, but King says that’s was never fun for him. But King says he’s changed after 40 years of working with sled dogs. “I love having a fast dog team that loves me and nothing anymore will tempt me into jeopardizing that,” he said. 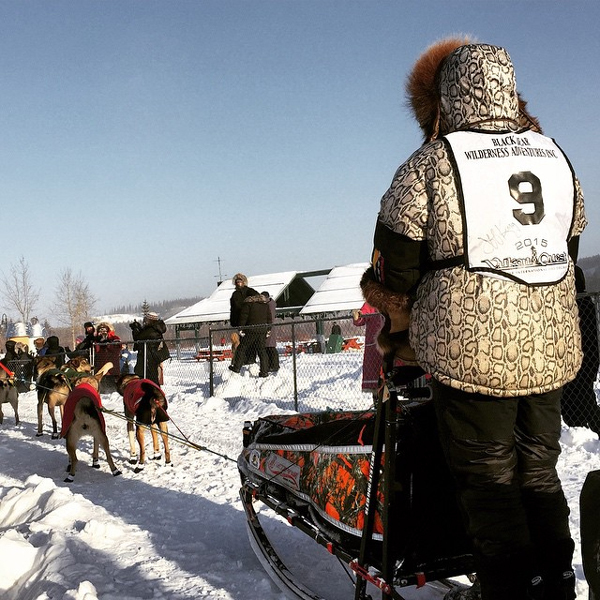 King is used to running teams that move down the trail between 8-10 miles per hour, but subzero temperatures slowed dogs teams to nearly half that as they approached Dawson City. King says his dogs are recovering well. He also says had the weather been warmer, the race’s outcome could be different. “I don’t expect any of the teams that make it the whole way to be very competitive again this year, would be my guess,” he said. King admitted that prior to the race, he confided in close friends that he planned to scratch if conditions hard on his dog team. He wouldn’t say for sure whether he would return for the Quest again in the future.